Beyond the city of Adelaide, South Australia is largely a dry, barren and starkly beautiful state - it’s the driest state in Australia and the stunning landscapes reflect this. 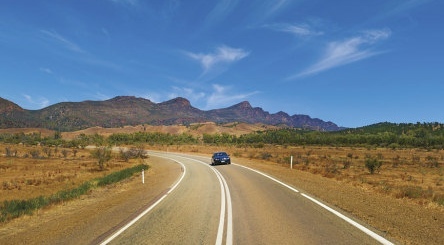 Head north in to the Flinders Ranges to experience the Outback at first hand, with mile after mile of wilderness and dramatic landscapes at every turn - this is classic road-trip country, but it’s not for the faint-hearted. 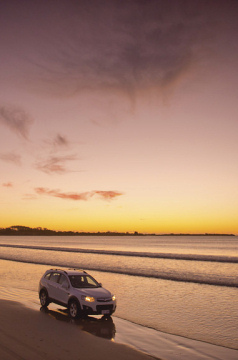 To the south, the SA coastline is desolate and dramatic as you head towards the Victoria border and the Great Ocean Road, while offshore Kangaroo Island is a great destination for wildlife and wilderness, with a myriad of water- and land-based creatures from dolphins to echidnas (and kangaroos, of course!) making it home. Hire a bike and go winery-hopping in the Barossa Valley - bike tours ranging from two hours to a full day will introduce you the the local produce! Go bushwalking in Wilpena Pound, a vast sunken valley in the Flinders Ranges National Park, an area dotted with stunning landscapes. An operating sheep station, the family-owned Rawnsley Park Station enjoys a rugged setting at the foot of Wilpena Pound – an impressive natural amphitheatre in the heart of the Flinders Ranges National Park. Nestled in the Barossa Valley, Australia's oldest and best known wine region, the Novotel Barossa Valley Resort is an ideal base for exploring the area, with great facilities and a relaxed setting.